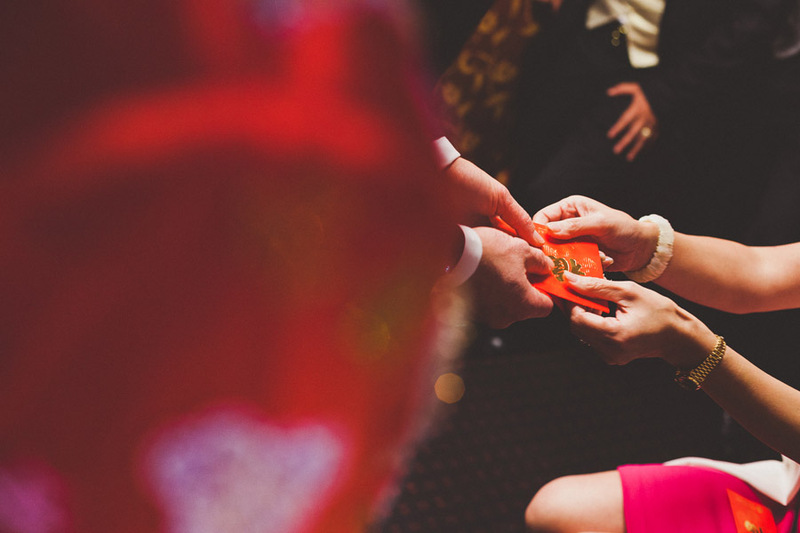 This week’s image is a very simple detail shot but one which tells us about a really interesting tradition at chinese weddings – the giving of red envelopes. These are presented to the couple by guests after the couple have served them tea. This all takes place during tea ceremonies which can happen throughout the day. The envelopes have money in them and the red colour signifies good luck and is supposed to ward off evil spirits. The decorative nature and bold colours of these traditional parts of a chinese wedding make for some really vibrant photographs. Love the mystery of this shot.